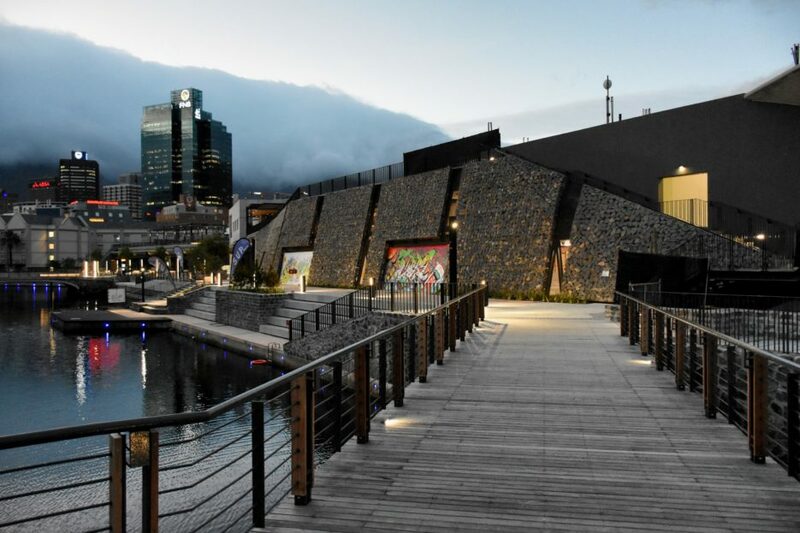 dhk Architects’ latest project is an Urban Park at the renowned tourist attraction, the V&A Waterfront, which has historic architectural significance, containing the remnants of one of Cape Town’s oldest structures, the Amsterdam Battery constructed in 1781. 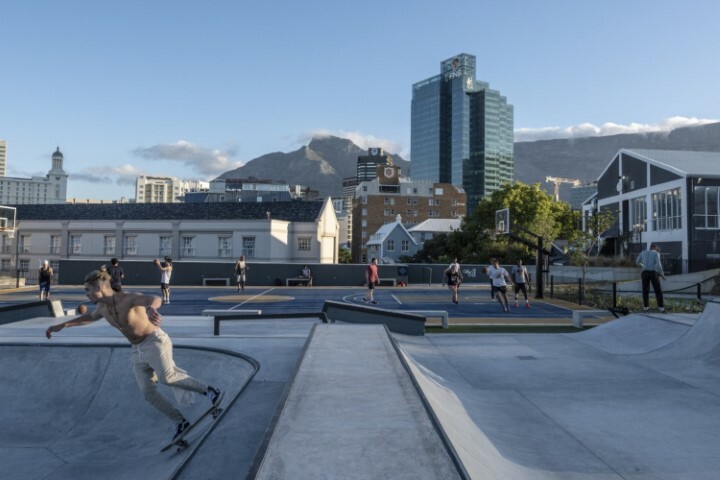 In case you were wondering where the names comes from – various elements of the original structure; curved pathways, concrete walls and a visual connection to Cape Town’s Noon Gun on Signal Hill. 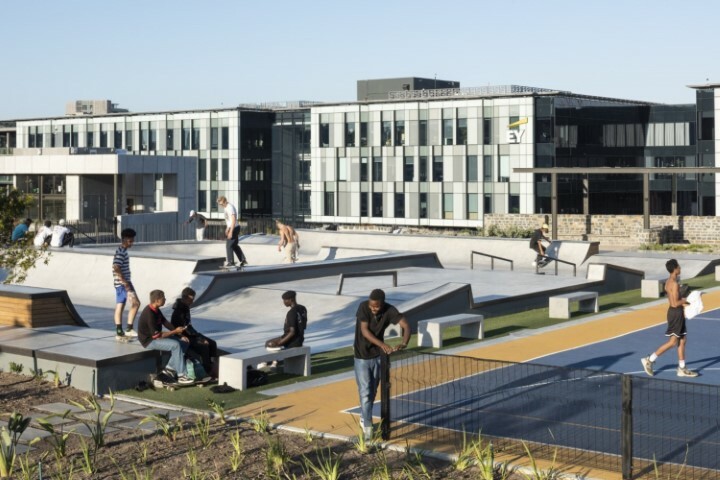 The aim was to create a publicly accessible park which lies at the nexus of a multitude of new pedestrian routes stitching the new district into the surrounding urban fabric and thereby helping to invigorate the area,” dhk Architects. 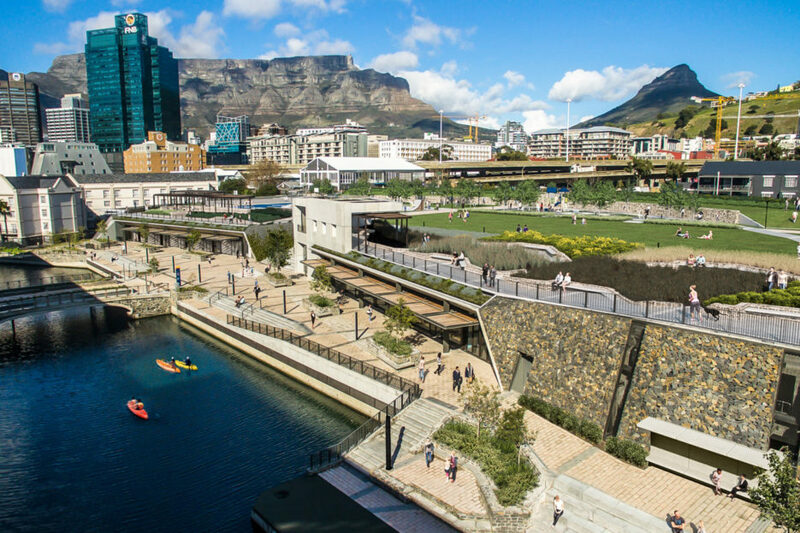 A piazza on the lower-level elevates the park which gives it sprawling views of the city; the piazza is also an effort to restore the original courtyard structure. 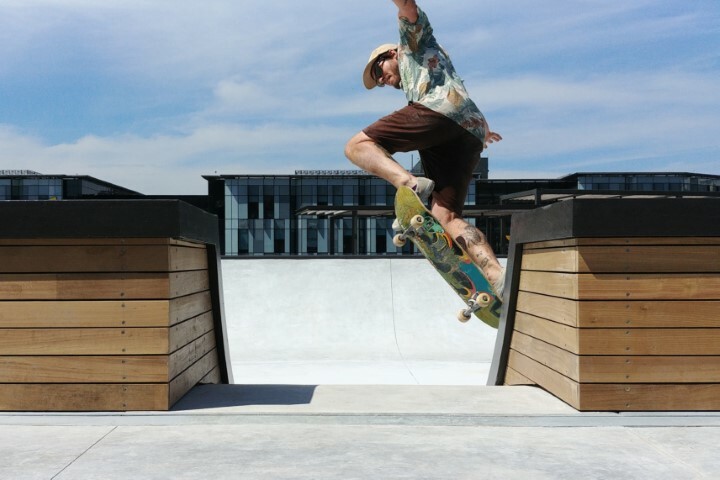 “Therefore, a large part of Battery Park’s design concept was manifested in breaking the barrier between the park and the piazza and bringing them closer to one another,” said the architects. 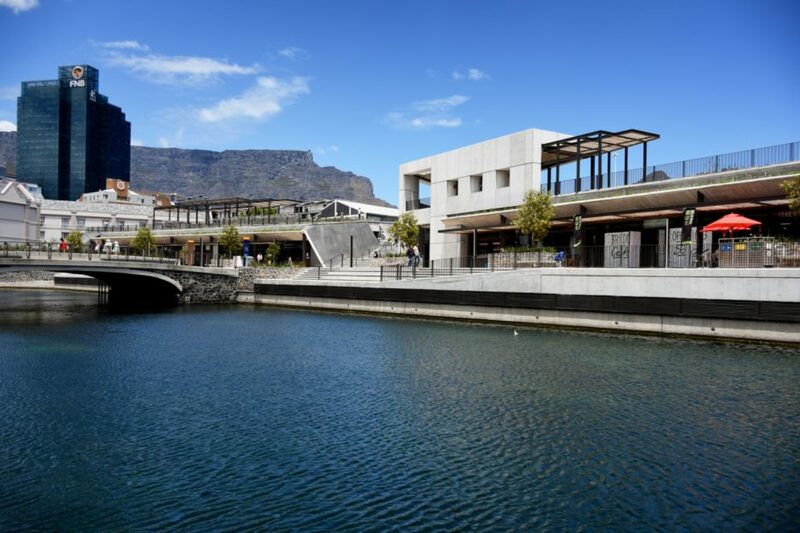 Visitors can explore landscape gardens, meandering walkways with built-in benches, a concrete skatepark, basketball court and new pedestrian routes as well the 11 boutique retail shops leading to the new canal route. 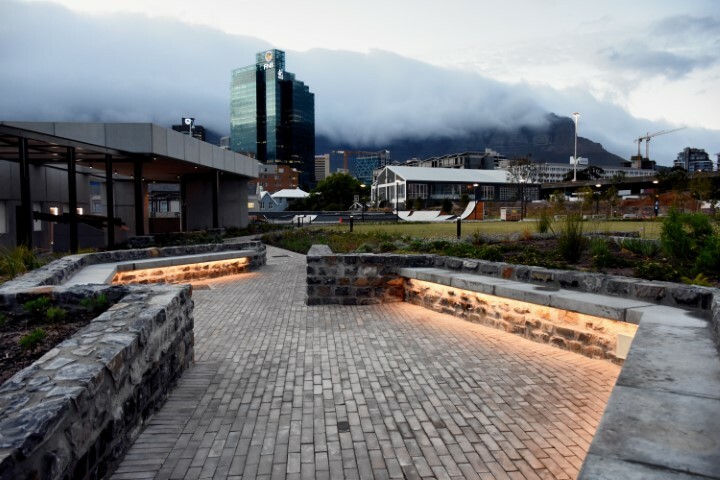 All stone used throughout the park and piazza was excavated from the site during the construction process. 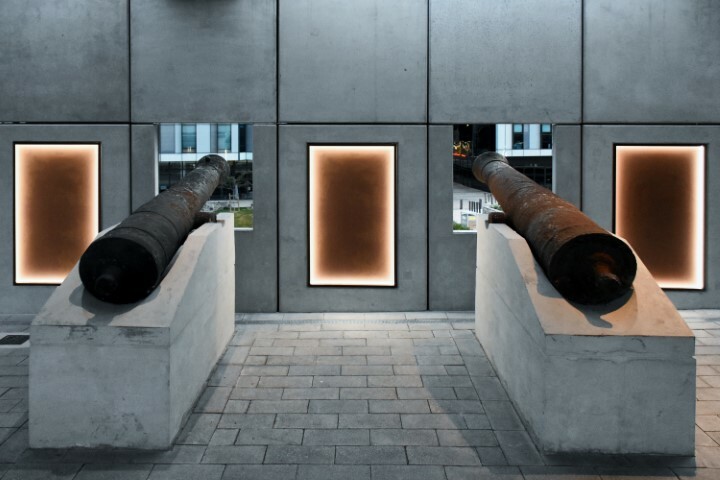 These antiquated elements juxtapose contemporary insertions that reference the battery rather than replicate its heritage. 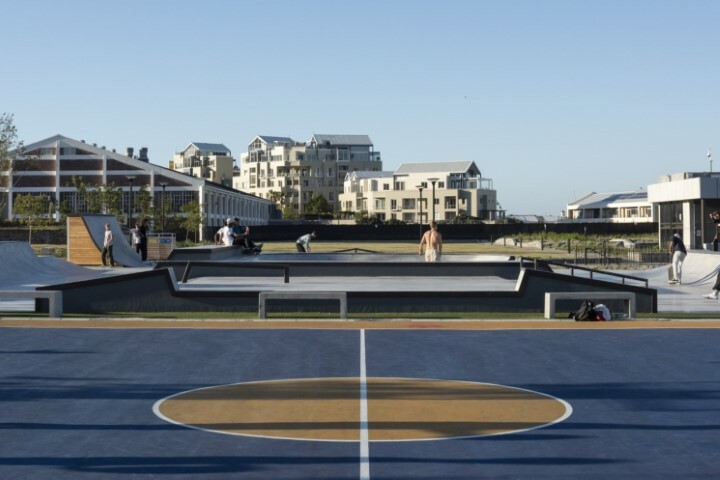 See the pictures below, of course, one of the main attractions is the state-of-the-art skate park.